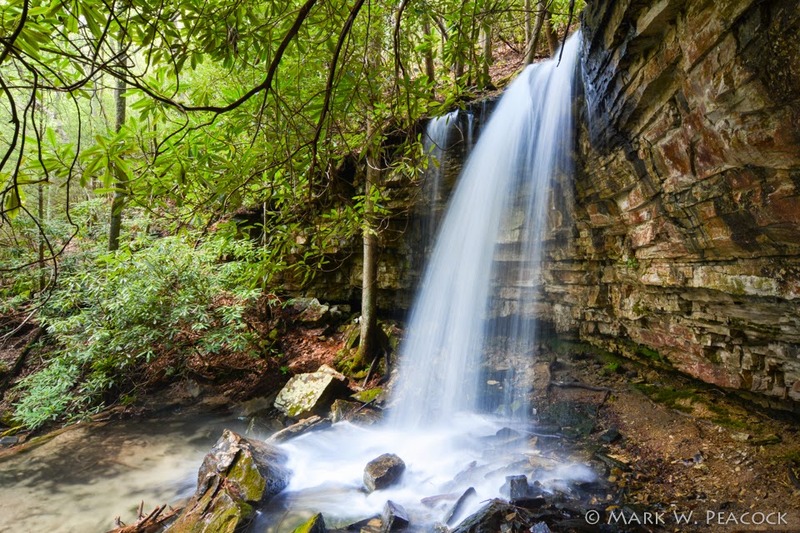 This is the best time of year to go see Kiner Creek Falls outside of Church Hill, TN in Laurel Run Park. In the summer months it often is just a trickle, but as you can see it's flowing well after our spring rains. The wide angle lens makes it look bigger than it is. It's listed as 30' online, but I'd say it's more like 20'. It's a fun place to visit, but it does require a sense of adventure. 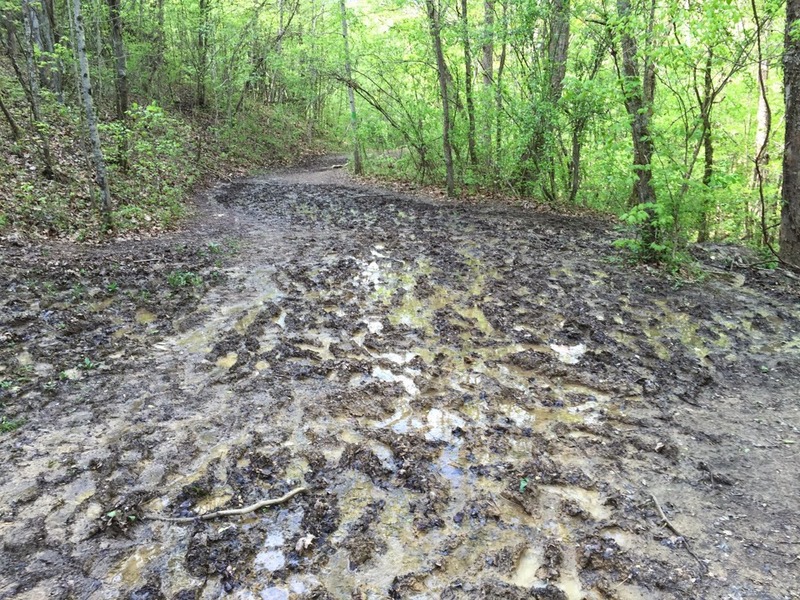 First, the main trail is tough slogging -- muddier than usual. Such a beautiful area, it's a shame the old trail isn't kept up better. So, if you go, wear old shoes and just embrace the fact that you'll get muddy. Second, the creek crossing is also tough with all the rain we've had. I made it across ok, but it was iffy. Third, the last section of trail to the falls isn't marked and requires some scrambling through the rhododendrons. And finally, leaving the falls (at least the way I go) has you climb out of the falls - which is very steep and slippery -- but all well worth it to experience this beautiful place! Another bonus... you'll also find lots of wildflowers this time of year. Directions here.